From promotions of their films to attending events, these stars stole the show this week with best pictures. This week was an interesting and exciting one with many big releases hitting the big screens. Social media was abuzz with messages and pictures about these films and fans of the actors in these films loved them. 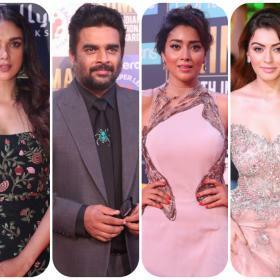 There was also a special event organized to felicitate the weavers in the state of Telangana which saw popular celebrities from Tollywood in attendance. Samantha Ruth Prabhu, who is the Brand Ambassador for handloom in the state of Telangana, had her colleagues and friends from the film fraternity attend the event which was a huge success. We rewind and look at the top photos of the week which went viral this week. At the Woven 2017 event, Samantha Ruth Prabhu and her beau Naga Chaitanya were the special attraction and fans of this couple loved it much. Sam and Chay’s PDA gave us some serious relationship goals. Walking the ramp at the Woven 2017 event, Catherine Tresa looked gorgeous in a beautiful black and white garment with red thread tassel details and intricate box prints. The actress made her presence felt more than ever. Promoting her latest release Jaya Janaki Nayaka, Rakul Preet wore some spellbinding outfits this week and we loved them all. But this one was the best of all. The beautiful Rakul Preet Singh was on the TV show KTUC and wore a grey dress which had an asymmetrical hemline. We love! Akkineni Naga Chaitanya walked the ramp too at the Woven 2017 along with many other celebrities from the Telugu film industry. Chay was seen sporting a combination of red and blue, and set the stage on fire at the event giving us some serious fashion goals. Way to go Chay boy! 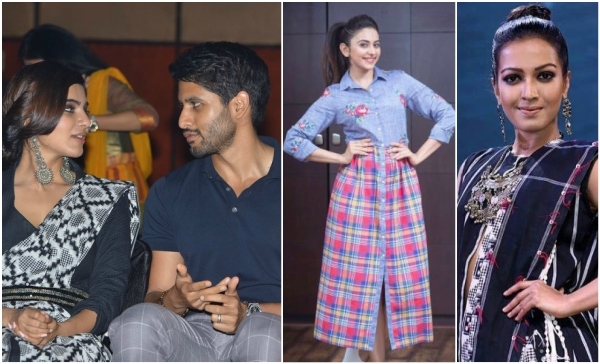 Promoting their latest release Nene Raju Nene Mangri, Rana Daggubati and Kajal Aggarwal were in Vijayawada interacting with fans. The lead actors of the film were seen having a gala time at Trendset Mall and KL University in Vijayawada much to the joy of young fans present there.